Once upon a time I had beautiful flowers growing in my flower box, perennials they were, popping up eagerly every spring, similar to the photo on the left, but not hydrangeas, and not blue. After a while, a number of years, five years perhaps, I noticed that fewer and fewer shoots were sprouting up. Then one year they just got tired I suppose, and hid in the soil. Or maybe the seeds fell asleep and forgot to wake up? Or maybe they thought I didn’t care anymore? Or maybe their life-span had run its course? Then this spring a weed appeared. I had left the flower container on the ledge, filled with soil, and just let it be, and now something else was growing in it. I didn’t notice it particularly, and certainly not enough to do anything about it, until the other day when the soil was all dried out and the weed (or whatever) was drooping forlornly. Better water it, I thought. 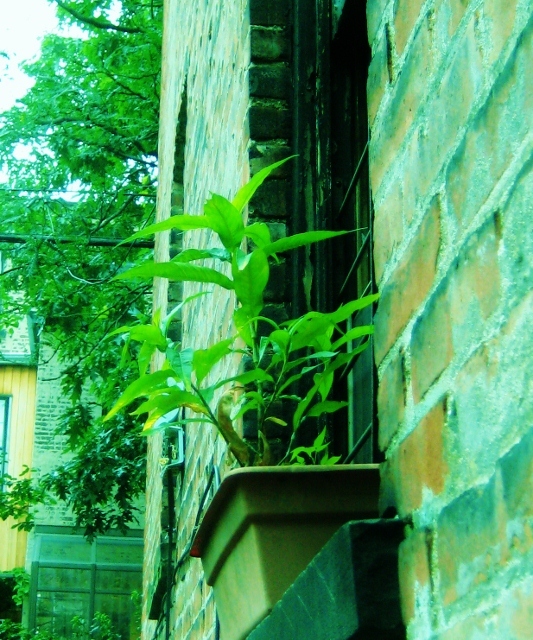 Weed or no weed, it had the thoughtfulness to grace my window box with its presence and it deserved a drink of H2o. Well, now we were getting personal. So I stood there at the kitchen window, thinking about how trees spring up in cracks in the pavement. 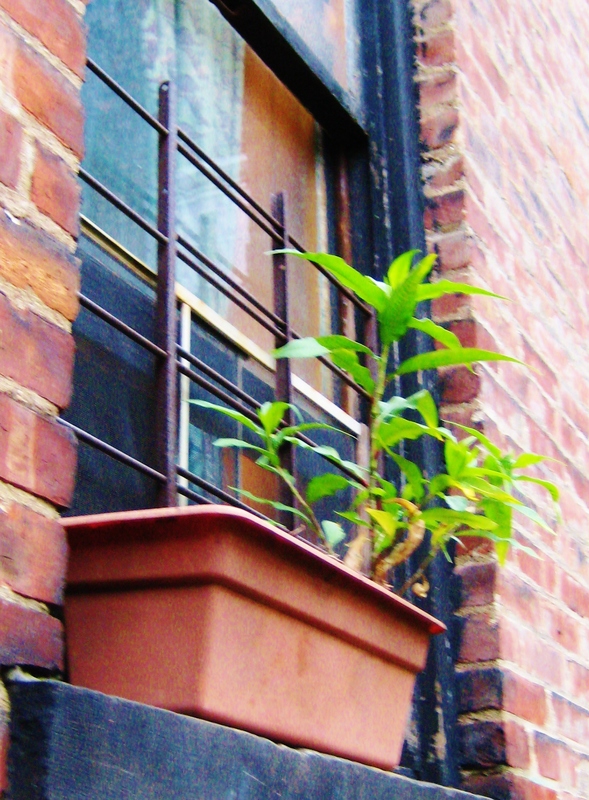 But does a tree seed know that it’s only growing in a plastic container on someone’s kitchen window ledge? I don’t think so! 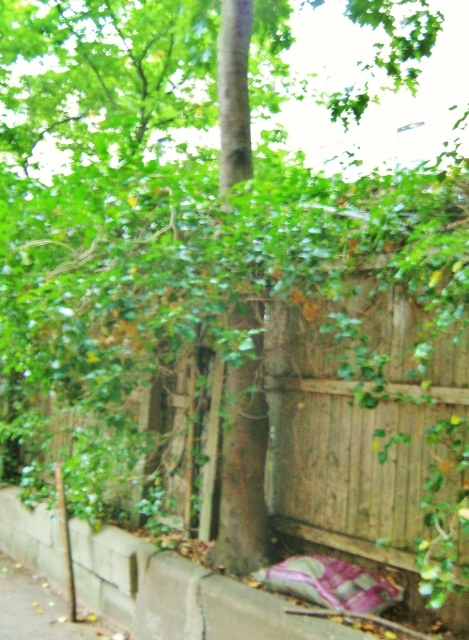 Here is a picture of a tree out back of my small apartment building. Doesn’t it look as if its growing out of the cement container there? Well guess what, it is! 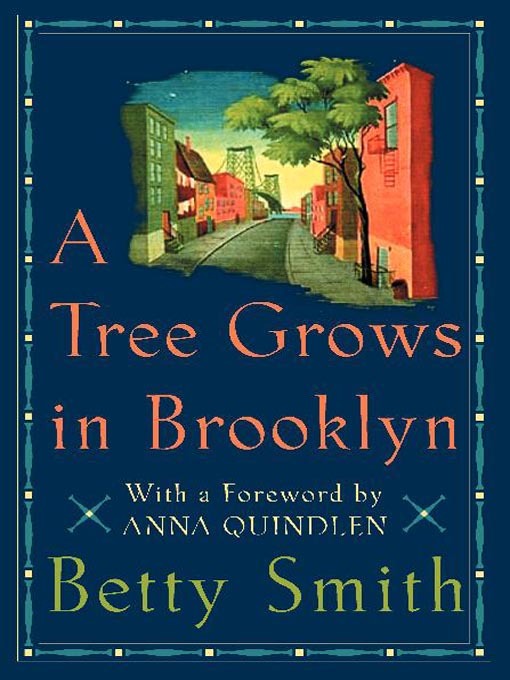 Remember the book A Tree Grows In Brooklyn…. That tree was an Ailanthus, or “Tree of Heaven”, native to China and Taiwan, and is common in vacant lots around New York City. This entry was posted in Uncategorized and tagged Brooklyn, flower boxes, Nancy Wait, trees in Brooklyn. Bookmark the permalink. A lovely article Nancy. A weed is only a flower growing where we don’t want it to. Lots of people say that daisies are weeds but they have beautiful faces when you look at them up close – they are appear to smile warmly at after us. I also like the vibrant yellow of the dandylion – which is, after all, a lion that is dandy! It’s lovely to come across a beautiful little flower, blooming in an neglected corner. It’s a reminder of how hope springs eternal! We encourage these little green shoots, as you both say, when we notice and when we share. It’s funny because this morning, before I saw these exchanges, I was going to look for a little book that I made a few years ago, which I’d filled with such moments of noticing what was right in front of my eyes. Now I’ve definitely got to go and hunt for it! Louise, you must find that book! Of course with your highly-charged perceptive nature, you can no doubt write reams of such books! Which causes me to think that might be a good theme for the radio show…. “What I Noticed This Past Week,” or something along those lines…. I could make an announcement asking listeners to send in their thoughts, if they don’t want to call in, and then I could read them aloud over the air. Thoughts are catching. I loved that expression I heard years ago, “thought-forms.” Thought FORMS! I called it ‘The Little Fat Book of Joy’. It was a very difficult year for me and this is what I would do. I had a phrase: “I Now See Fresh Delight.” At some point in my day, I would stop whatever I was doing and say that phrase to myself. Then I would look at whatever was right in front of me and really see it in detail – finding the delightfulness in it, whatever it was. It didn’t have to take a long time necessarily… and I’d make a few notes. In the evening, I’d capture that moment by writing and drawing in ‘The Little Fat Book of Joy’. What a wonderful and creative idea Louise! This is definitely going to be a radio show. I love how you called it “Fat” book of joy, knowing how ‘fat’ it was going to become… You are truly a creative soul. Many of these types of books are on the shelves in the Self-Help section, but you’ve made your own. I know when I’m depressed I can’t draw or paint to save my life. It takes a certain amount of openness and curiosity to be able to step into those waters of simply noticing what is around us. Thank you for the kind reply to my comment. Musa, thank you for your thoughtful comment! You have taken the story to another level. Another example of how wonderful it is to share our stories, because by allowing others into our mental realm, they can – perhaps like you – propel our ‘seed thought’ onto a wider plane. This was the first thought that occurred to me. The other thing of course is simple gratitude that someone else cares about what I notice. Because the truth is, not only do we need to be noticed, but our thoughts need a landing place. Otherwise they might just swirl and swirl and get all tangled up in our heads. So thank goodness there is wordpress too!